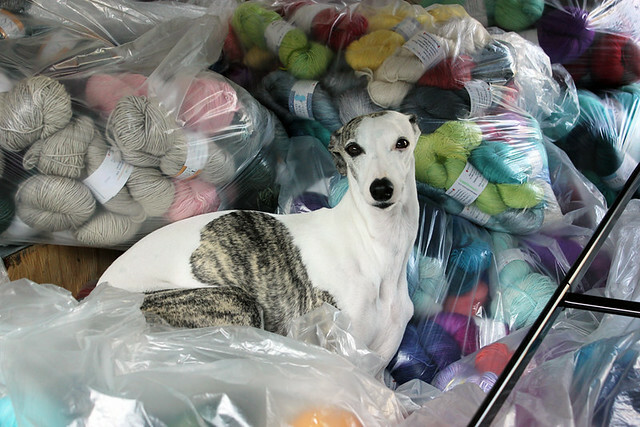 Another knitter's fair has come and gone. The weekend was a fantastic whirlwind. We packed up the van on Friday morning, drove 6 hours to Kitchener, set up the booth, ate, slept, enjoyed the Fair on Saturday and then packed up the booth and drove back home Saturday night. It was a very busy 2 days but that's the way I like it! Stella on the other hand... she doesn't love it so much. She stays home with my dad and though I know that she loves spending the weekend with him and his 2 dogs, she doesn't like the idea of left behind. 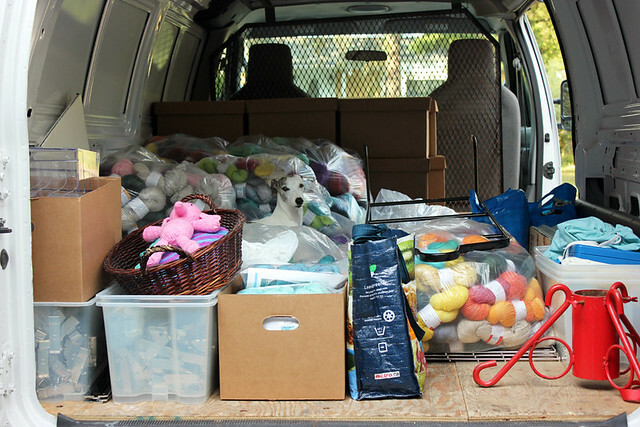 She did her best to try and sneak in the van and hide amongst the bags of yarn. She was probably quite cosy nestled up in there!